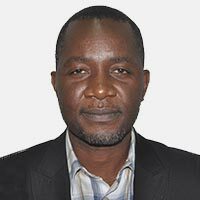 Godwin Atser is the Communication and Knowledge Exchange Expert for the Sustainable Weed Management Technologies for Cassava Systems in Nigeria project. Prior to his appointment, Godwin was the Communication Officer for West and Central Africa and once served as a Senior Reporter with the Punch (Nigeria’s most widely read newspaper). He has also freelanced for several of the international media including the BBC World Service, Trust, and Spore. Godwin has a Bachelor’s degree in Agricultural Economics and Extension (University of Agriculture Makurdi), a Master’s in Agricultural Extension and Rural Development (University of Ibadan), and a Postgraduate Diploma in Print Journalism (Nigeria Institute of Journalism) together with a doctoral degree in progress. He has 16 years of subject matter expertise in strategic communication, public affairs/media relations, and teaching in both the public and private sectors.